All synthetic oils are producing using chemical synthesis process, reaches high homogeneity of a product and maximum chemical and thermal stability of properties. Uses of expensive and difficult technologies and components, with use of expensive source of raw materials are set the higher cost of oil. Synthetic and mineral oils are different from each other by a structure of a molecular basis. In comparison with mineral oils, synthetic blend analogs possess bigger chemical and thermal stability. It means that by operation of such oils there is not chemical transformations, and they save best value of viscosity in broad range of temperatures. How often is necessary to do oil change for example of car engine oil? It is depend of operating conditions. If the car is very seldom exploited, especially around the city or to off road terrain, with a mode of start feet and cold start, transports the load, goes on dusty roads or often stays in traffics, those are all situations in case of which there is a huge engine load. Very important basis for selection of specific brand of oil before oil replacement, back on the example of car engine oil, are requirements of your car manufacture to applied oil and liquids of the car. Usually, it is technical requirements – specifications of products which is recommended for use. If the car is used, it is necessary to select independently oil brand for the engine. Synthetic oils have high indexes of viscosity, as rules are reaching by means of additives. 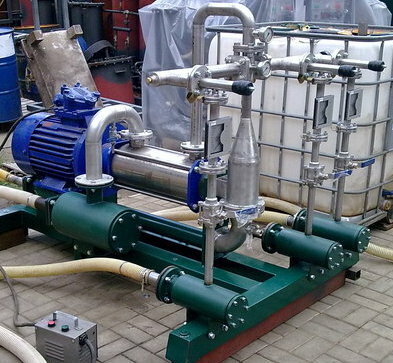 Additives are chemical active agents which are added in oil by uses Oil Blending System “USB”, for improving of its characteristics or giving new properties. In the modern oil the share of additives can make 15-25%. The set of components usually contains: additives — modifiers; additives for protection of the surfaces contacting to oil; additives for protection of oil. Compounding – means blending. 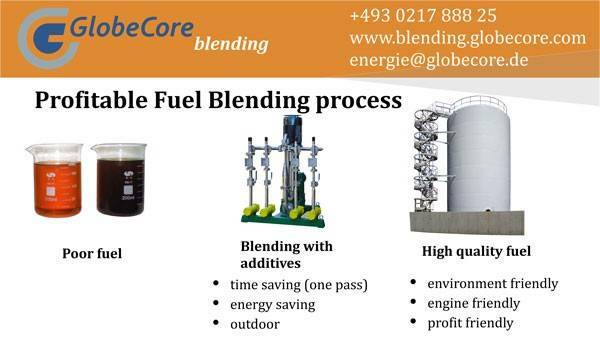 Blending systems “USB” by GlobeCore Blending of mixing and production of different synthetic oils with a productivity from 5 t/hour to 600 t/hour and possibility of combination from the 2 to 7 components in any proportions with change of dosed share component. Each unit of equipment is developed and made under specifically, according to technical requirements of the client; the mixing system could be integrated into existing productions, and also projected from the very beginning and with turn-key basis. 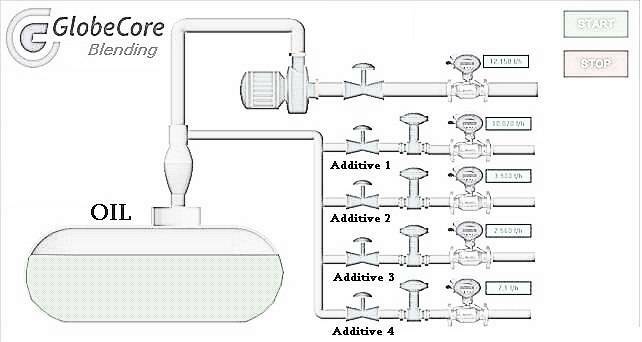 If you want to reduce expenses of you company for fuel production, “USB” cavitation blending system could help you to do that. To receive extra information contact us and technical manager will call you back or download inquiry list and receive free catalog.